Prime Minister Stephen Harper is in Inuvik, N.W.T., today to mark the start of construction of the country's first highway to the Arctic Ocean. 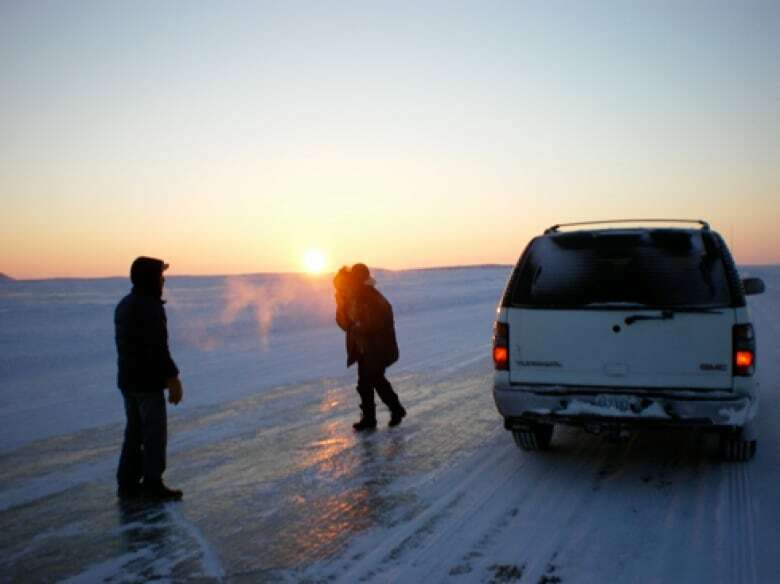 Harper says the all-season road to Tuktoyaktuk will realize the vision John Diefenbaker had in the 1960s to connect the Arctic to the rest of Canada. “Prime Minister Diefenbaker knew then what our government is undertaking today: constructing a highway will improve the lives of people living in the North for generations to come, facilitating economic development, creating jobs and enabling cost-effective, safe and reliable transportation of goods to and from Northern communities,” he told a gathering at the Midnight Sun Recreation Complex in Inuvik. The new road will connect the town of Inuvik with the hamlet of Tuktoyaktuk, but it's about more than linking two isolated communities. "It's the road to resources,” said Kurt Wainman, as he set up a backdrop of heavy equipment for the Prime Minister's visit. “It's been called that forever. Hopefully we can re-look at all the oil companies and get back to our gas and get our communities sustainable." Wainman runs one of the companies building the $300 million highway. Any offshore drilling is still years away, but the winter road means jobs right now, and Mickey Ipana says that’s huge. He’ll have four years of steady work hauling gravel on the highway with Northwind. "I think it's just a stepping stone to opening up the North, getting maybe oil and gas projects up again,” Ipana says. “A lot of help for the families that were struggling for the past couple of years.."
The gravel road will stretch 140 kilometres over tundra and permafrost. The federal government is paying for two-thirds of the project. Some Northwest Territories MLAs are concerned that won't be enough. Daryl Dolynny is the MLA for Range Lake in Yellowknife. "Cost overruns can take away from other projects,” he says. “And if that means taking away from the hospital, that should concern people." 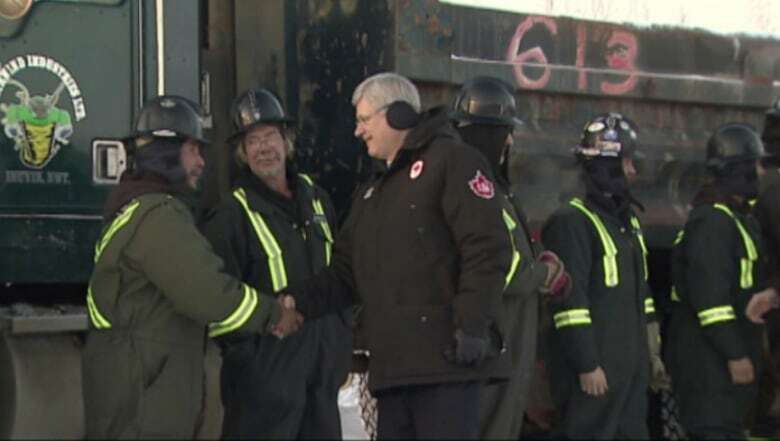 This afternoon the prime minister had his picture taken with construction workers. Mickey Ipana said he wants to shake his hand. "It's a historic day. I'll be happy to say to my kids and grandkids that I helped build the road."